Kendall Toyota Alaska is pleased to be currently offering this 2018 Toyota Sienna LE with 15,365mi. This vehicle is loaded with great features, plus it comes with the CARFAX BuyBack Guarantee. This AWD-equipped vehicle will handle beautifully on any terrain and in any weather condition your may find yourself in. The benefits of driving an all wheel drive vehicle, such as this Toyota Sienna LE, include superior acceleration, improved steering, and increased traction and stability. This is about the time when you're saying it is too good to be true, and let us be the one's to tell you, it is absolutely true. The Toyota Sienna LE will provide you with everything you have always wanted in a car -- Quality, Reliability, and Character. Kendall Toyota Alaska has a wide selection of exceptional pre-owned vehicles to choose from, including this 2018 Toyota Sienna. All-wheel drive means peace of mind all the time. This Silver AWD Toyota enjoys a host offeatures, including exceptional acceleration and superior stability so you can drive with confidence. There is no reason why you shouldn't buy this Toyota Sienna LE. It is incomparable for the price and quality. You can finally stop searching... You've found the one you've been looking for. You've found the one you've been looking for. Your dream car. ** 2016 TOYOTA CAMRY LE, GRAY CLOTH INTERIOR, 2.5L 4CYL ENGINE, AUTOMATIC TRANSMISSION (A/T), FRONT WHEEL DRIVE (FWD), BLUETOOTH (BT), BACK UP CAMERA, POWER DRIVERS SEAT, POWER WINDOWS AND POWER LOCKS, HEATED EXTERIOR MIRRORS, CLEAN CAR FAX!! 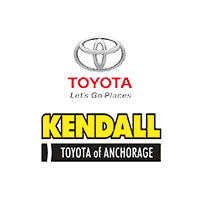 ** Thank you for visiting another one of Kendall Toyota Alaska's online listings! Please continue for more information on this 2016 Toyota Camry LE with 67,798mi. Based on the superb condition of this vehicle, along with the options and color, this Toyota Camry LE is sure to sell fast. This is about the time when you're saying it is too good to be true, and let us be the one's to tell you, it is absolutely true. The look is unmistakably Toyota, the smooth contours and cutting-edge technology of this Toyota Camry LE will definitely turn heads. The Toyota Camry has been the best-selling car in America for twelve years now. The Camry is a massive success and with good reason -- it's got proven reliability, a quiet and spacious interior, good fuel economy and exciting exterior styling. For anyone who needs quiet, comfortable transportation for up to five people without breaking the bank, the Camry is invariably the place to start the search. The Camry offers a ton of versatility for the price, but can also be optioned up to give buyers that luxury car feel if they so desire. If you’re looking for a used car that have been thoroughly tested for quality, then a certified car in Anchorage is just what you’re looking for. Your nearby Toyota dealership serves the Wasilla, Eagle River, and Kenai areas with certified pre-owned Toyota cars, trucks, and SUVs. 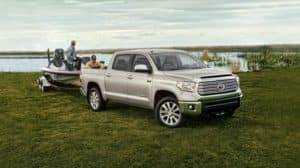 Our Certified Pre-Owned Toyota Program offers roadside assistance, extensive limited warranty coverage, and many other coverage essentials that you should expect from any certified pre-owned program. People ask our Toyota pre-owned specialists about the difference between certified pre-owned versus used cars all the time. The answer is simple, really. Although we make sure all our cars are of top quality before they’re put up for sale on our lot, certified pre-owned cars go the extra mile of also being examined by the manufacturer itself. Once it is cleared for certification, only then is the title of “Certified” granted by the manufacturer for that specific vehicle. This meticulous examination not only gives you assurance of quality, but it also gives you manufacturer-backed perks and warranties. Are Certified Cars in Anchorage Worth it? In short, yes, certified pre-owned cars are worth it. With a Toyota CPO, you get all the benefits of owning a quality vehicle from your Toyota pre-owned car dealership, as well as an extensive pre-owned warranty from your Toyota manufacturer. Contact us online with any questions you have regarding used car sales in Anchorage.